Think Christian, a website from our partner Reframe Media, is a great resource for young, modern Christians to get a Biblical perspective on pop culture and current events. 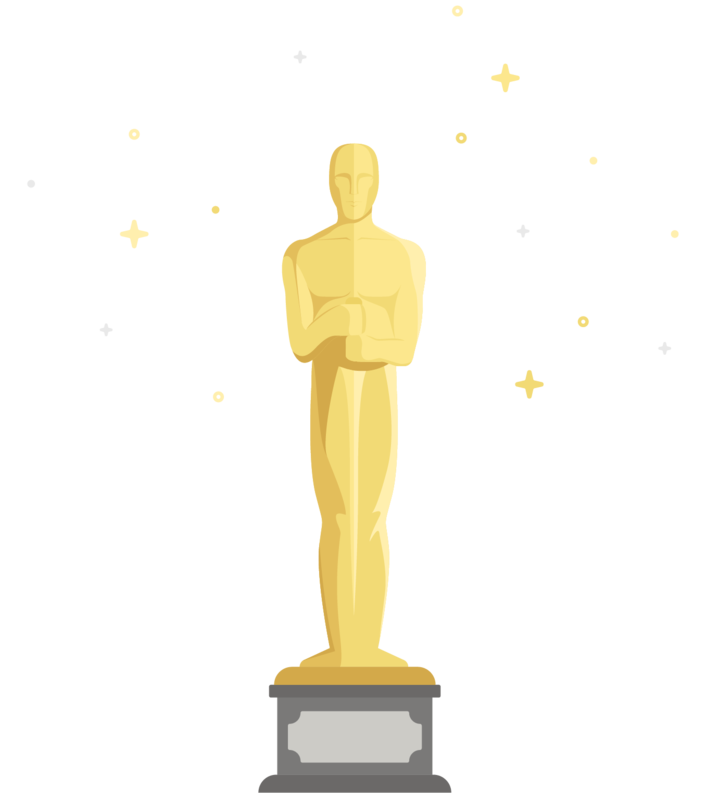 ReFrame asked us to help them create a downloadable, free resource to provide reviews of all the Oscar’s Best Picture nominees. We had so much fun with this project. We decided to take an illustrative approach and recreate scenes from each other movies on the list to go with their accompanying articles, while giving the booklet as a whole a very art-deco feel, true to Hollywood’s style roots. No film-themed design would be complete without an illustration of Oscar himself. We knew the statuette needed to be front and center. We also created a few supporting movie-theme elements to sprinkle throughout the PDF as well. There were so many different directions that we wanted to take this project, we were overflowing with creativity! But taking too many directions wouldn’t serve the client well and would only lead to a messy and incoherent design. We realized that we weren’t dealing with just any films here, these were Best Picture nominations. These films were iconic. So we decided to illustrated iconic scenes that captured the essence of the film in a loose and artful way. We explored this idea by creating concept art for La La Land and Arrival. After creating the concept art, we realized that it was too involved to be able to create such an in depth illustration for all the nominees by the deadline. It also was far too ink heavy, should someone decide to print the downloadable PDF out from their computer. We needed to lighten up the demand it would put on a home printer while also making it easily reproducible for each nominee, and still maintain the iconic elements needed for each scene. To achieve all of this, we reduced the overall size of the illustration, as well as the elements within the design, limiting the illustration to just a couple of simplified characters with ample space for copy to be overlaid. In addition to the PDF, we had the chance to design the landing page for the download using some of the elements we created for the PDF. Using some of the same elements not only helps keep the design cohesive, but it gives the audience a little taste of what they’ll get if they enter their email and download the PDF.